To belong to an emotionally healthy family is a valuable asset that will have profoundly positive implications on your life, and on your children’s and their children’s lives as well. In contrast, coming from a highly dysfunctional family could be one of the biggest challenges you, and possibly your descendants, will ever face. Is my family dysfunctional or normal? Dysfunction in families is caused by many issues. Alcohol, drug abuse, poor financial situations, and religious fundamentalism are the easy to identify causes of troubled families. However, there is a type of family dysfunction that is insidious, little understood in society, and more prevalent than you would suppose. At the heart of this type of family dysfunction is narcissism. In these families, at least one of the core caregivers is a narcissist and the whole family is taken hostage around this parent’s veiled pathology. From the outside, the normal range healthy family, and the narcissistic run family may seem identical to the untrained observer, but the realities of these two families are in stark contrast to each another. No family is perfect, but in a healthy family, the parents nurture their children and take pleasure in looking out for their wellbeing. Emotionally healthy parents have an acceptance of their own infallibilities. They have the ability and intent to modify their behaviours and expectations to align with being a positive influence in their children’s upbringing. They use honest communication to establish order in the home and refrain from emotionally manipulating their children. In a family run by a narcissistic parent, the family becomes a vehicle for the narcissist’s pathology. These families give the illusion of being picture perfect. The narcissist often appears as an epitome of perfect parenthood. However, the priority in these families is not the children but the parent with the personality disorder. What should be a nurturing environment for the children is hijacked. The narcissistic parent redirects this vital family energy into untold number of charades. For instance, when Katie secured a scholarship she had been working hard at and broke the news to her family, her father downplayed it by talking about his achievements when he was in school. This was despite the fact that her father had never taken any interest in Katie’s life and she had almost raised herself. Rather than planning how to nurture each child on their individual paths the narcissistic parent will ponder what roles these children can play in bolstering his/her personal grandiose visions, with absolutely no regard to the impact this may have on the child. This may play out as narcissistic parents forcing the child to choose a profession that will make the parent proud, even if it makes the child unhappy. The narcissistic parent will often hinder the proper emotional development and independence of children, in order to keep them in the dysfunctional orbit around this parent. Sometimes children may be pushed to succeed on a very high level so the narcissistic parent can live vicariously through their glory, or the jealous personality disordered parent may adopt a strategy to sabotage the child’s ability to be more successful than this parent themselves. Sibling rivalry is usually a given, as the narcissistic parent will employ favouritism, forcing children into feuds, and often subtly pitting them against each other. In the narcissistically run family, all family members will orbit around the narcissist in a dysfunctional dance and will be assigned certain roles. The three key roles are that of the enabler, the golden child, and the scapegoat. These roles maybe static for life or can be reassigned at certain stages by the narcissist. 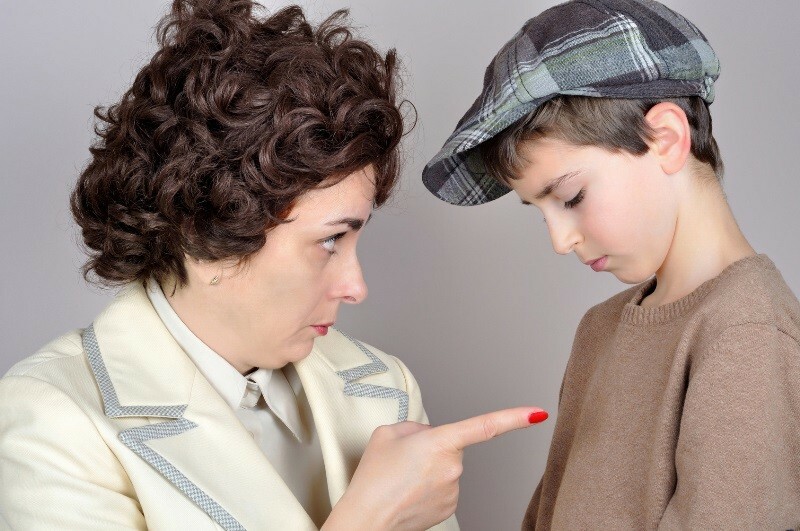 The enabler parent may also assign their own personal scapegoat or golden child. Shane’s mother who otherwise was a loving woman would never stand up for him or support him against the atrocities of his narcissistic father. His father abused him physically and deprived him of food and money, yet his mother would always tell him how much his father actually loved him but was unable to express to him. Shane knew that this was a lie and his mother was just saying it to make the father appear good to him. The enabler, like Shane’s mother, is usually the narcissist’s spouse or the other parent but in certain situations it can be a child. This parent often has come from a dysfunctional family, or some previous trauma. They may be naïve, brainwashed from being gaslighted over many years, dependent or codependent in nature. Not all narcissist’s spouses become enablers. Those spouses that stay with the narcissist for life in a fairly congenial manner, are the strongest enablers, and are usually inverted narcissists, or are narcissists themselves. The role of the enabler is to tend to the narcissist needs. S/he is the narcissist’s marketing department. They manipulate the family’s perceptions of the narcissistic parent in a more positive way and make excuses for the narcissistic parent’s bad behaviours, and is often the mouthpiece for the narcissistic parent. The enabler parent often plays the go-between in the well-documented triangulated communications prevalent in these types of families. The enabler parent also neglects their duties towards the children as their overwhelming major concern is their narcissistic spouse. The enabler parent will accept even outrageous acts perpetrated by their narcissistic spouse towards their own children, and on some occasions even join forces with the narcissistic parent in attacking the scapegoated child, or may choose to attack the scapegoat on their own will. Sometimes this behaviour will be interspersed with random acts of kindness, thereby causing much confusion to the scapegoat. The enabler will often downplay their innate good characteristics, thus reframing from clashing with their narcissistic spouses grandiose pathology. It is the enabler parent’s job to hide the true nature of the narcissist and constantly work on damage control. An additional note: At certain times the narcissist may scapegoat their enabler spouse as well, but the enabler refuses to see this and always goes back for more. Rita was the first born to her parents and she had a younger brother Nick. Nick was the recipient of all the love and attention from her mother and was put on a pedestal. Her mother called him the ‘angel child’ and he could do no wrong. Nick grew up to be financially and emotionally dependent on his mother and could never make decisions by himself. The role of the golden child is to be a vessel that the narcissist can live vicariously through. The golden child is seen by the narcissistic parent as the fruit of their loins, and therefore an added glorious projection of themselves. This child will be treated better than all the other children, and will be seen by the family, no matter what the reality is, as wonderful, intelligent, good looking, hard-working, or whatever is important to this particular narcissist. The golden child is the most likely to grow up and become a narcissist too. Due to innate survival instincts in the other children including the golden child, they will blind themselves to any injustices that take place within the narcissistically run family. The exceptions being those perceived to be perpetrated by the scapegoat, or against the narcissistic parent. It is the job of the golden child to be the fake poster board for the perfect family. In the above example, Rita was the scapegoat who got blamed for everything that went wrong in the family. Her mother found faults in everything that she did. She never received love from her mother and kept trying tirelessly to win her approval. Her relationship with her brother was also manipulated by her mother. The narcissistic parent needs somebody in the family to dump their rage on—this is the scapegoat. Pathological narcissists are unable to acknowledge faults or flaws in themselves or what they have created, therefore they require a scapegoat to download all their unacceptable faults on. The role of a scapegoat is usually assigned to the most sensitive, outspoken, or different child. Sometimes a child that is impaired in some way is picked as they are shameful to the cluster B parent. The scapegoat is mistreated by the whole family no matter what they do, or how hard they try. The scapegoat endures a lifetime of blame, shame, ostracizing, neglect and emotional abuse by the entire family. It is the scapegoat’s job to be sacrificed so that the other members of the family can blind themselves to the terrible and traumatic truth that their entire life is actually a lie. Is there any hope for the victims? Children coming out of narcissistically run families have severe emotional scarring and the degree of damage depends on the roles they played and the severity of their situation. Family members orbit around the narcissist in their casted roles for years together and some don’t ever realise that it is pathological. Due to this, the emotional damage can continue for many years undetected, even by the victims themselves. This results in untold pain and suffering to the victims, plus now also to society, as these children unknowingly spread the pathology as possible narcissists, inverted narcissists, enablers or codependents. However once these victims recognise that they are part of a pathological situation they may choose to work a way out of it. With the help of support groups, expert therapists and modalities like EFT, victims can deal with their situation and grow out of it. Greater public knowledge of narcissism amongst the general population is our best defense in curbing this destructive and ever-growing epidemic. Delaney Kay hosts a popular YouTube channel “Daylight out of Darkness” and is a certified life coach. She has devoted her time to research, and helping thousands of people understand and heal from emotional damage as a result of dysfunctional families and narcissistic abuse.